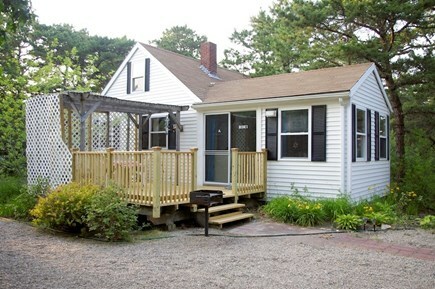 Cottage renters have direct access to the Cape Cod Rail Trail. 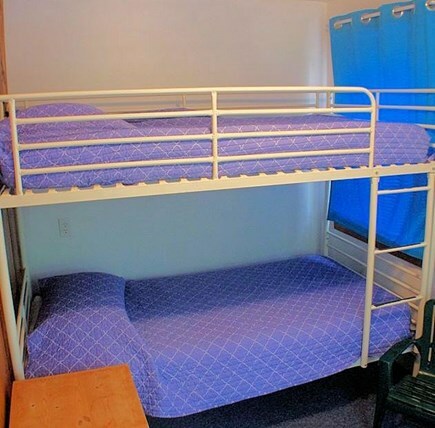 Beds: 1 queen, 2 twins, New mesh-side crib for rent. 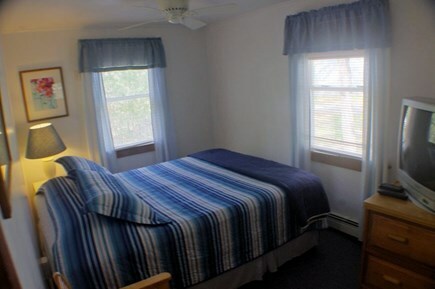 Bright, airy, Cape Cod-style cottage for 1 - 4 people, includes use of Cape Cod's largest heated indoor pool & the playground at award-winning Even'tide Resort Motel. 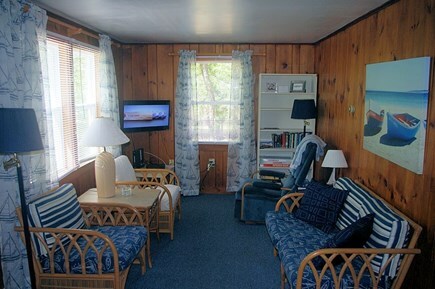 Brand new deck, free wi-fi, 2 cable TV's, free nationwide long-distance land-line phone. A/C, ceiling fan, new central heat. Tiled bathroom with tub/shower. 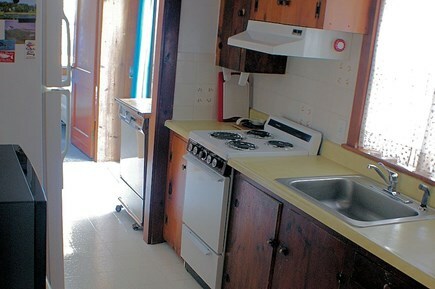 Well-equipped kitchen has new full-size appliances with dishwasher & natural pine cabinets. 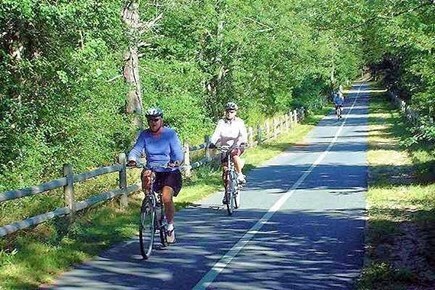 Short drive, or 1-1/2 mile bike ride, or 1-mile walking trail through the National Seashore Park to Marconi Beach. Near bay beaches & ponds too. Books, games, beach towels, chairs, toys provided. 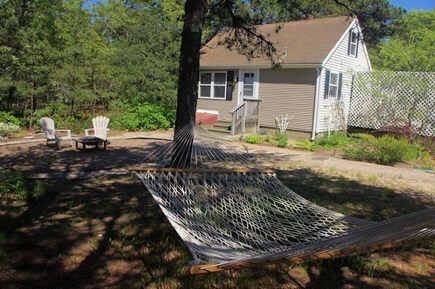 Surrounded by flower gardens & mature trees on over 1 acre of land just off Rt. 6. Walking distance to several restaurants; 1 mi. to Audubon Sanctuary & Drive-in movie theater; 4 mi. to town center, pier, harbor, galleries, shops, golf; 20 mi. to Provincetown whale-watch. On-site owners provide security & service. Additional availability info: 2-night minimum starting 9/1. This is a Saturday to Saturday vacation rental. Additional pricing info: Labor Day Sat. & Sun only, $195/night; starting Mon. $137/night, State and local taxes of 12.45% will apply. 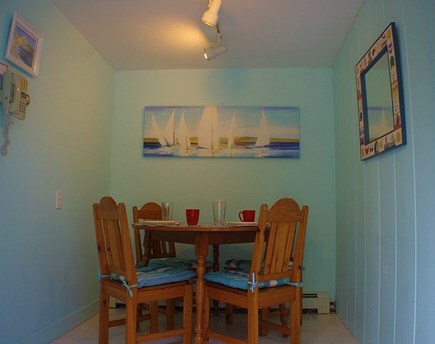 Bessie's is an awesome cottage with a great deck for relaxing or cooking on the grill, near all the beaches, and enjoying a great indoor heated pool. Thank you, Armand and Lisa. You are great hosts. This place was spotless, and we had a wonderful time! Thank you very much for having us at your beautiful Bessie's Cottage. 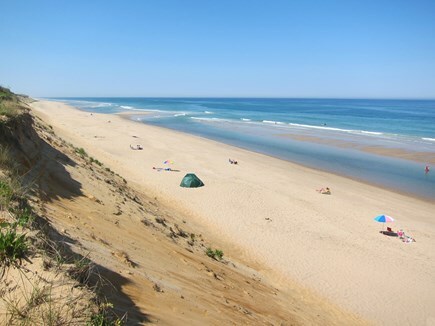 Wellfleet is a great place to vacation - you are very lucky to be living here. We really appreciated all your help. You gave us great advice, and the cottage was stocked with everything we could possibly need. Please enjoy this bottle of wine. We look forward to returning again soon! Your cottage is perfect. You are a very kind and gentle person. Thanks for letting me stay. I hope to be back next year. Thank you so much for 4 wonderful weeks - I am sad to leave!